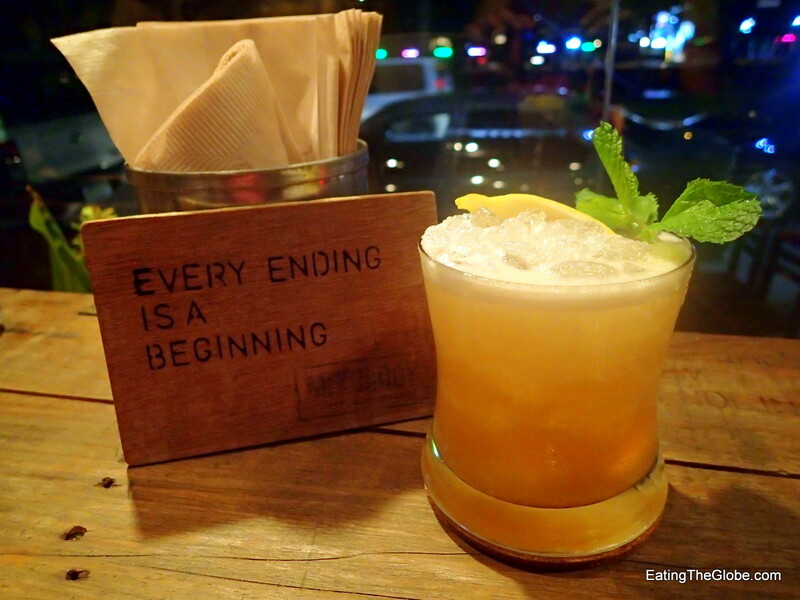 I was wandering down Arak Road in Chiang Mai, Thailand with no plan as to where to have dinner when Mixology Chiangmai Burger and Bar beckoned me inside. 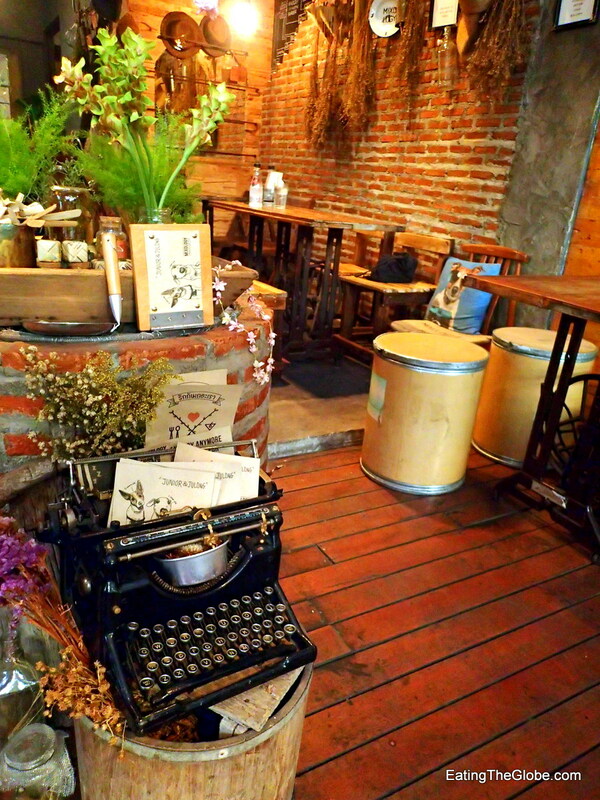 One look at the whimsical vintage decor, and I was smitten. This looked like my kind of place. I was there during Happy Hour, where the special is three drinks for the price of 2, so I got to sample some impressive creations. 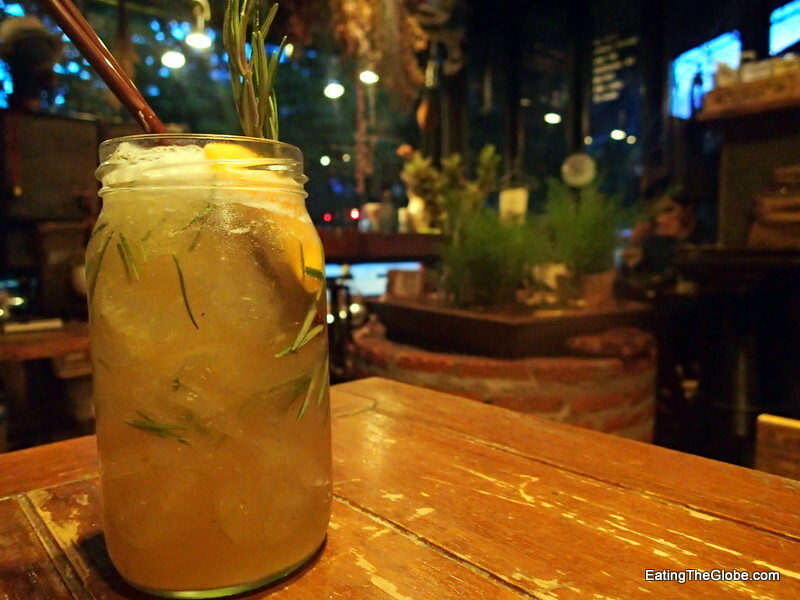 The Twilight Harmony was rosemary infused peach iced tea with gin. 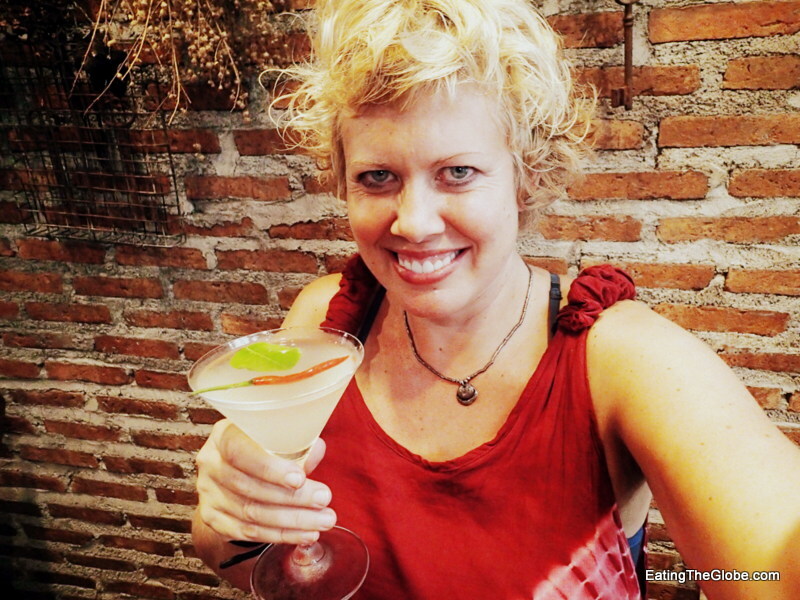 I also enjoyed the tom yum cocktail called the prick me up (prick means chili in Thai) which perfectly satisfied the desire for sour, sweet, and spicy with its coconut liqueur, infused tom yum vodka, chile, palm sugar and lime. It was a complete flavor rainbow in my mouth, and I savored every sip. 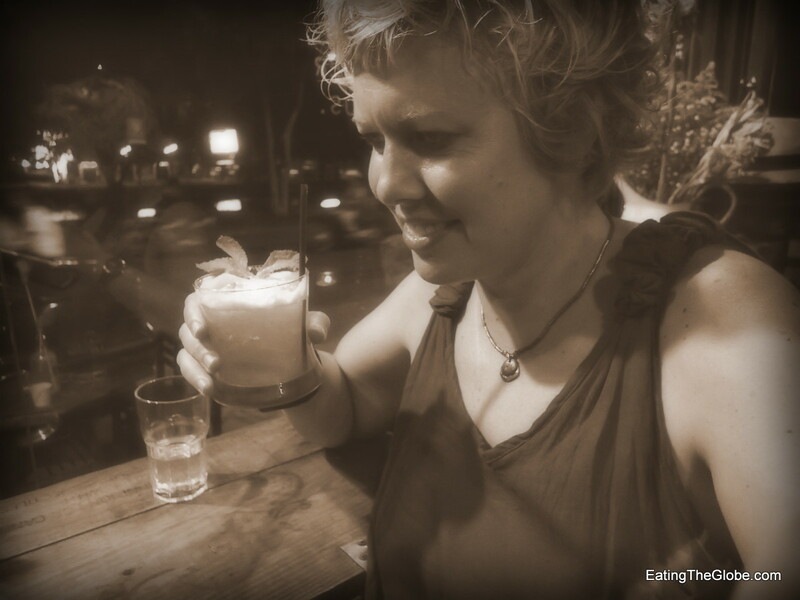 And to end things, I enjoyed the High-Flyer, a Jack Daniels, pineapple, concoction that had just a touch of amaretto, so it was perfectly balanced and not too sweet. The 3 for 2 Happy Hour is every Friday, Saturday, and Sunday from 7-9 pm, and they have other drink specials on Tuesday-Thursday as well. Sometimes in trendy restaurants that specialize in drinks, the cocktails will be good, but the food will suffer. That is not the case at Mixology. The food was amazing. They specialize in Thai food with a twist, and the food I had was absolutely enticing. 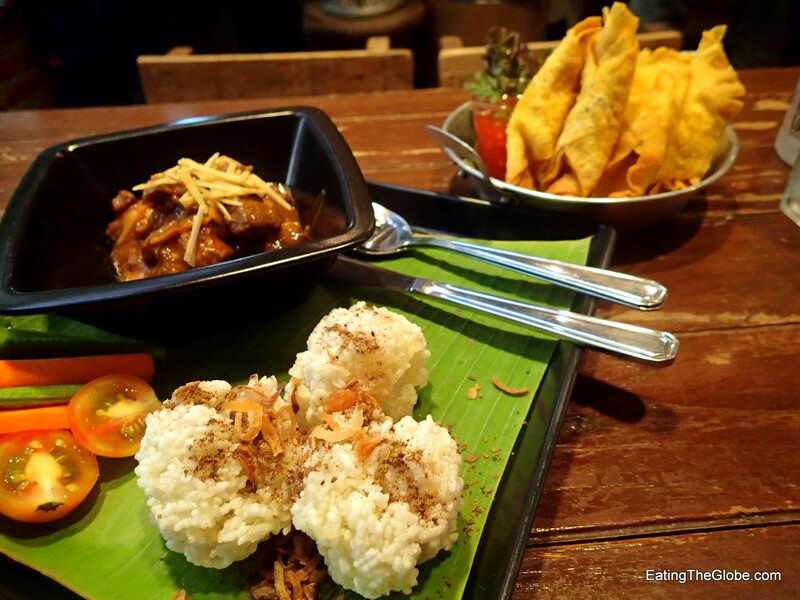 I devoured the Chiang Mai pork curry, Kang Hung Lay, that was served with crispy herbal rice balls (what a fun twist on the usual scoop of rice). This Burmese influenced curry was rich and spicy with zesty notes of garlic and ginger. The wontons were also tasty, not greasy, and were a perfect match for the cocktails. 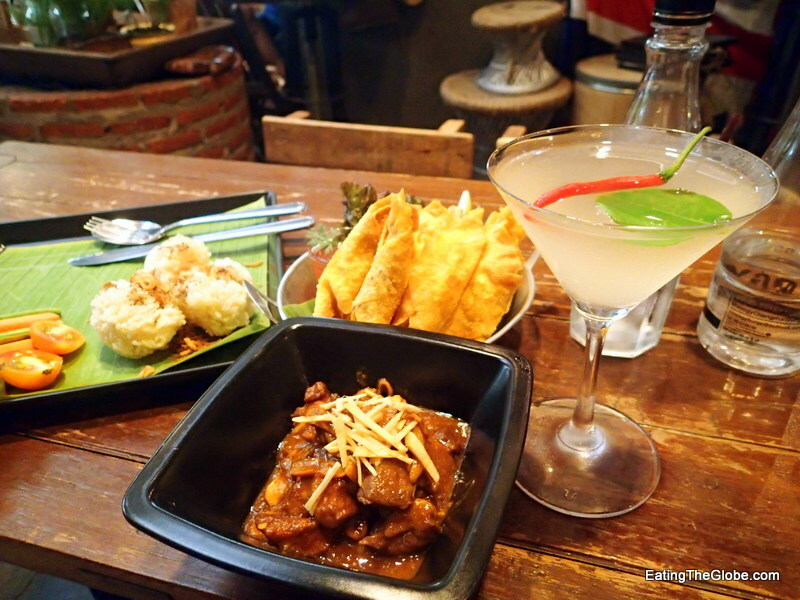 Mixology is most popular for its pork burger served on pandan sticky rice, but also had a variety of other things to choose from such as a mussel pot, a “crying tiger” steak, and a grilled vegetable salad served with pesto sauce that looked to die for. 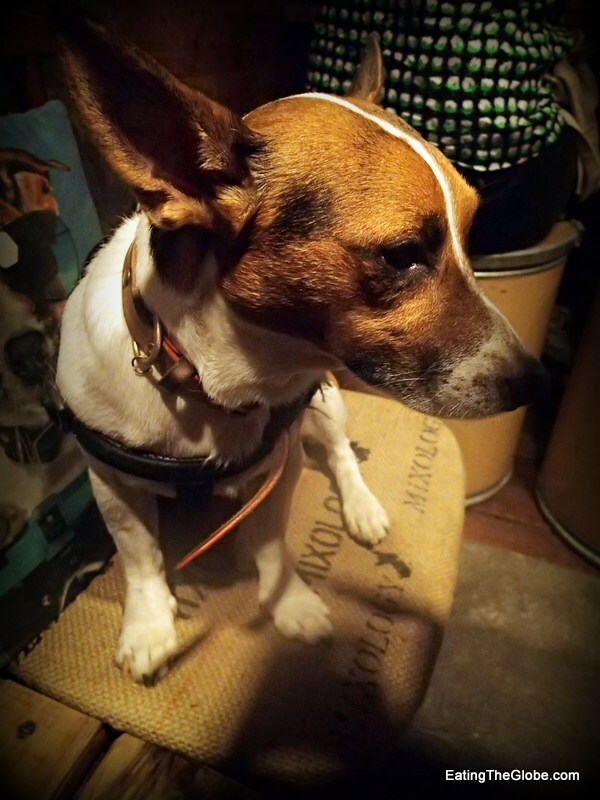 The true shining star of Mixology was Junior, the adorable Jack Russell, who took the spotlight of the evening. There’s even a sign on the door to let you know if he will be in for the night. Mixology gets my definite vote for style. 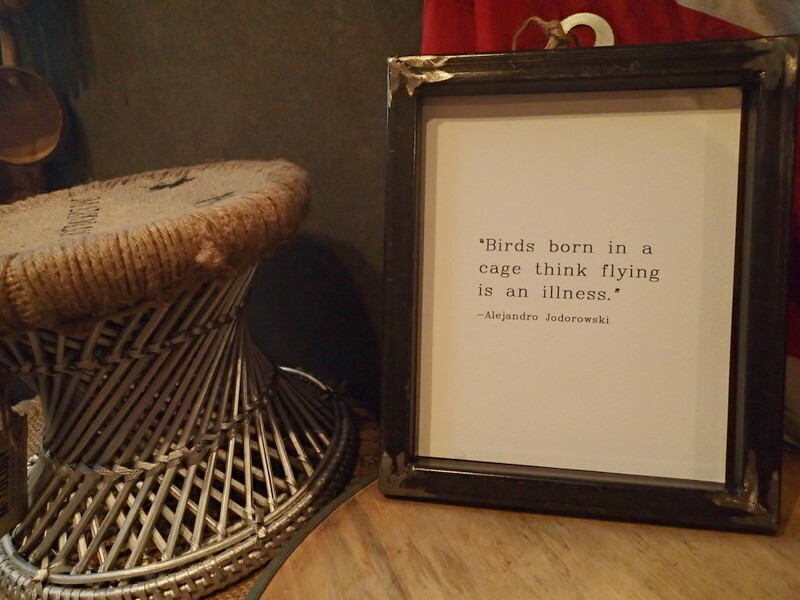 I loved the quotes everywhere, the eclectic vibe, and most important the down to earth feel here. 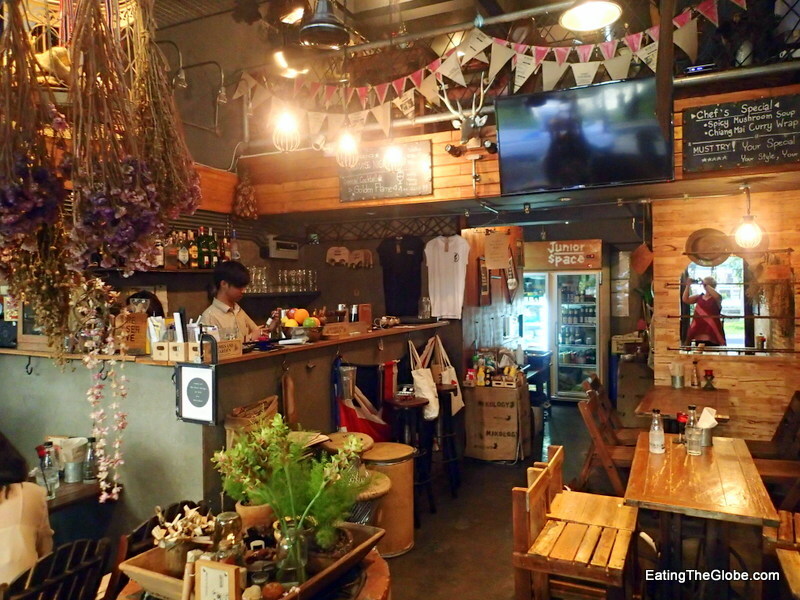 The staff was attentive and friendly, and it was the kind of place that made me feel welcome to just hang out in for a while. 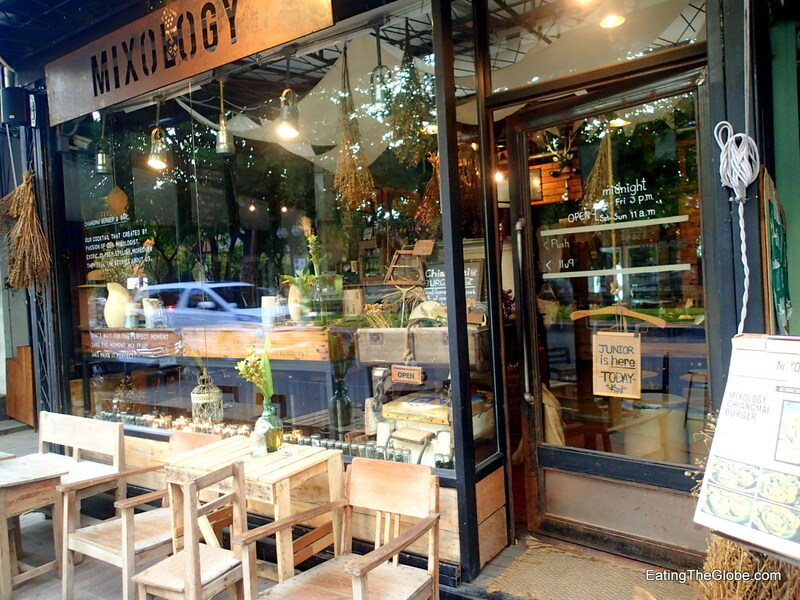 But, Mixology really stole my heart with the fact that they use organic, local food products and give a 10% discount to those who arrive by bike. They’d steal my heart a little more if they gave it to those who arrive on foot, too! After all, after three cocktails, no one should be riding a bike.